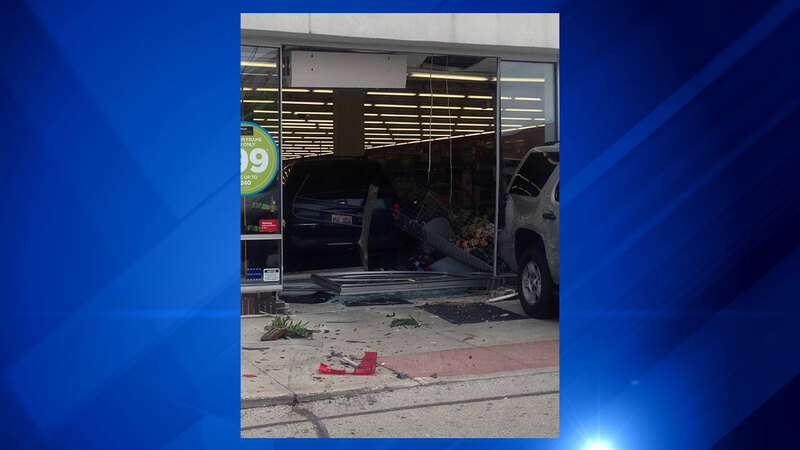 NORTH RIVERSIDE, Ill. (WLS) -- A woman crashed her vehicle into a west suburban arts and crafts store on Sunday afternoon, police said. The sport utility vehicle was trying to pull out of a parking lane at the Michaels store located at 7231 W. 24th St. in North Riverside. She may have accidentally pressed the gas pedal instead of the brakes, officials said. She struck two vehicles before crashing through the arts and crafts store - breaking through glass and stopping 30 feet inside the store. Two adults were taken to the hospital with minor injuries. Children were in the vehicle but not injured. The driver is being questioned and charges are pending, officials said.